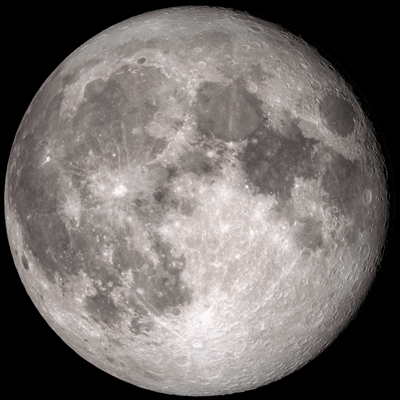 Today - April 20, 2019 Moon Phase includes the Phase of the moon, and the percent of illumination Visible from earth. The Age of the moon in the lunation cycle of approximately 29.53 days for a full cycle from New Moon to the next New Moon. Angle representing the terminator phase angle as a fraction of a full circle with both 0 and 1 corresponding to a New Moon and 0.5 corresponding to a Full Moon. Distance of the Moon from the center of the Earth in kilometers all based on your local America/New_York time zone. Moonrise is the rising of the Moon above the horizon and Moonset the lowereing of the Moon below the horizon. Moon photo's are courtesy from NASA's Goddard Space Flight Visualization Studio. April 2019 Moon Phases calendar as well as year 2019 Moon Phases for the entire 2019 calendar year.